Check out Extreme Forklifting 2! 10/10 would lift again . This game made me sign up for a forklifting job. Adrenaline Fuelled Mayhem. When I saw the title, I felt butterflies run though my body all my life I've wanted to be a forklift driver, and now this app gives me the chance to live out my dream on the go. Action and excitement from start to do finish that'll keep you coming back for more! 360 nofork CHECK OUT THIS WICKID WICK FORKLIFT MOVWS, BRO.!! So happy This app have fun. Today I have learned that I dislike driving a forklift in a game as much as I do in real life. Fork lever should be pull down to raise forks. As close as you'll come to operating a real forklift. Please add side-shift. Hi viewers well I am a counterbalance forklift driver myself been so for about 12 years now . This game is so Cool don't know what the other reviewers are on about this game is so true to life the truck and steering is so true to life it's great fun to do stunts as well on here . Cannot do that in real life you know lol. Happy gaming. Been playing this game for a while now and I've found my family is having troubles with getting to grips with my new lifestyle but I was born a forklifter and I'll die one. Ridiculous Fun. Why all the negative reviews? Who wouldn't want to do radical tricks on a Forklift!? 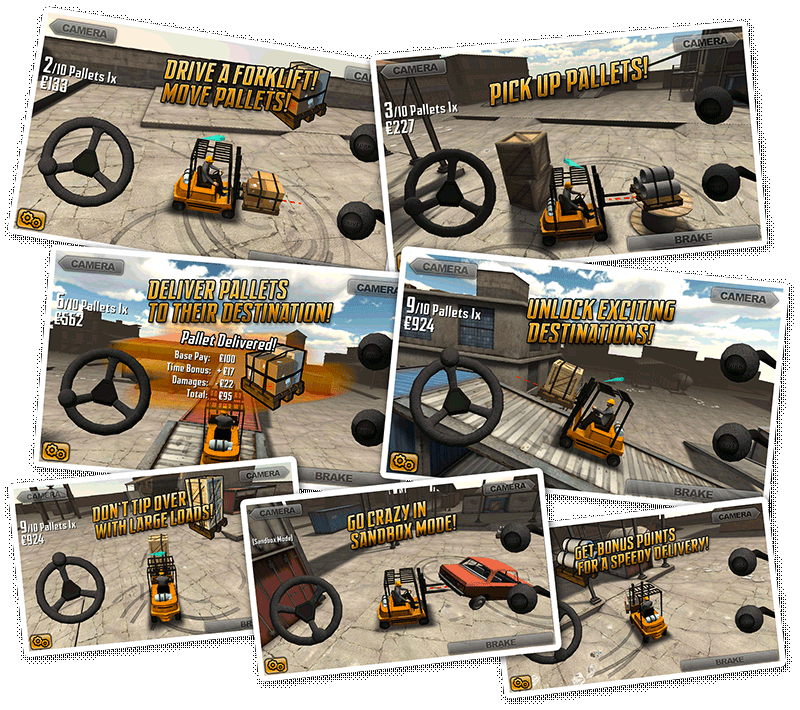 Extreme Forklifting is created by DEVM Games. Copyright and stuff.